Goodreads says, "For a small-town girl with big-city dreams, there is no address more glamorous than New York’s Barbizon Hotel. Laura, a patrician beauty from Smith, arrives to work at Mademoiselle for the summer. Her hopelessly romantic roommate, Dolly, comes from a working-class upstate town to attend secretarial school. Vivian, a brash British bombshell with a disregard for the hotel’s rules, rounds out the trio of friends. 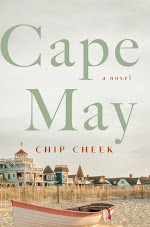 Together, the girls embark on a journey of discovery that will take them from the penthouse apartments of Park Avenue to the Beat scene of Greenwich Village to Atlantic City’s Steel Pier — and into the arms of very different men who will alter their lives forever." Laura Dixon, a debutante and college student from Connecticut, comes to New York City for an summer internship with Mademoiselle magazine for their college issue. The year is 1955 and if you are a female in the city, you want to stay at the famous Barbizon Hotel for Women which is pretty much like a large sorority house. 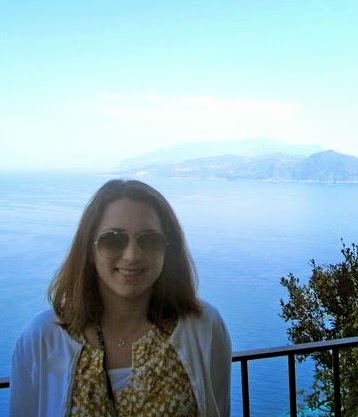 Plus, the beautiful Grace Kelly stayed there! Laura can't believe her luck when her parents agree to allow her to go to the city and stay at the Barbizon. She meets her roommate, Dolly, who is very different than herself, but charming enough and a friendship ensues. Dolly worries she will end up being one of the "Women" at the Barbizon, the spinsters who are still staying at the hotel and never married. On Laura's first day at Barbizon, she meets Vivian Windsor; she works at the famous Stork Club as a cigarette girl. Vivian is always pressing everyone's boundaries and breaking the rules at the Barbizon, including having male visitors, which is strictly forbidden. While at the Stork Club one night, Laura happens upon New York City's most eligible bachelor, Box Barnes, and after a few coincidental meetings, she finds that he is pursuing her with much determination. All three women experience love and loss in the city; one thing is for sure, New York City always promises an adventure. Michael Callahan's debut, Searching for Grace Kelly, is a delightful romp through 1950s America. It was like an episode of Mad Men and I loved being lost in the girls' world. Laura is my kind of girl in Searching for Grace Kelly. Although she is a debutante, good looking, and possesses good manners and an education, she still is interested in the gritty side of life and what it takes to be a writer. She wants more for herself than to just be a housewife, much to her mother's chagrin. I loved that Laura liked to frequent a book store in Greenwich Village as well as a nearby bar. (I'm sure her mother would be horrified.) There she meets Pete, an intellectual and writer. Even though she should be thrilled New York City's most eligible and very wealthy bachelor is dating her, she can't help but be attracted to Pete. Laura learns a lot as the story unfolds and I enjoyed her journey. Dolly is a bit a tag-along character in Searching for Grace Kelly. She is loyal, but is a bit self-loathing, which sort of drove me nuts. Dolly is studying to be a secretary, but ultimately, she wants to find a husband and is having a hard time. Dolly has her fair share of heartbreak that summer. Then there's Vivian, the larger-than-life British cigarette girl and aspiring singer. Her adventures are a bit too much, especially when she finds herself entangled with a man who is easily angered and is extremely rough around the edges. Callahan does a fantastic job bringing to life the 1950s. I honestly felt like I was in an episode of Mad Men, except from strictly a female's perspective. I must admit I was nervous that Callahan wouldn't be able to capture three female's perspectives, but I think he did a good job and it felt authentic. Plus, readers will be happy to know that Callahan did some extensive research on life at the Barbizon. 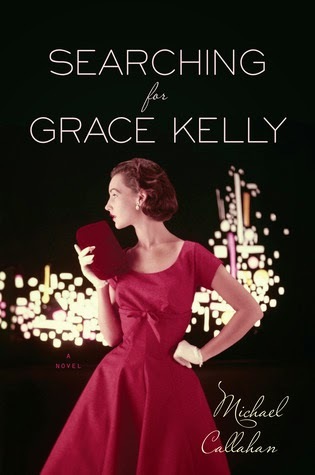 If you love the 1950s and you want to read a fluffy novel about love and loss in the big city, you should check out Searching for Grace Kelly this winter.. I was pleasantly surprised! I think you'd like it, Christina! It was definitely a fun read…loved the setting. Thanks for dropping by!